Description: A state can be defined through an Object key that matches a <identifier>. Description: A state can be defined through an Object key that matches customSt. Description: A state <identifier> can be defined through a hyphenated Object key that matches state-<identifier>. 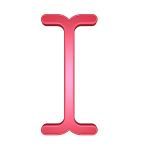 Description: A state <identifier> and its auxiliary state can be defined through a hyphenated Object key that matches <identifier>-<auxiliary>. Description: A List value for the key property generates an output for each <identifier> in the List. Description: Like state, Objects with the same <identifier> in the same scope are merged.